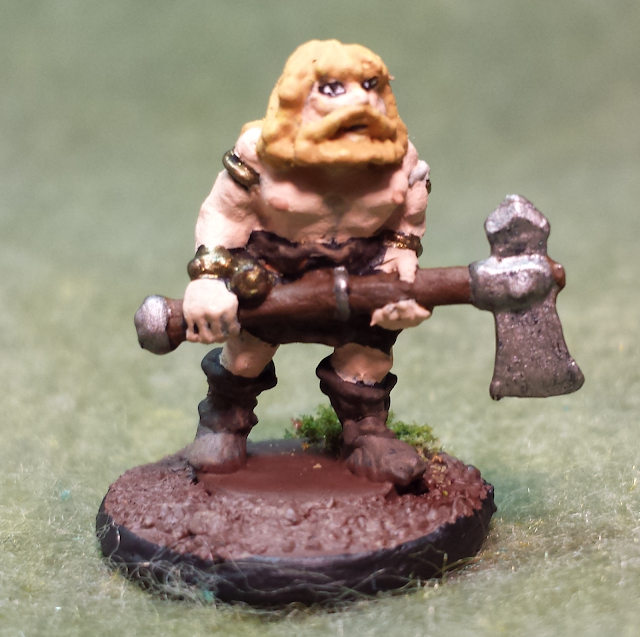 Dave's absolute favourite class in Dungeons and Dragons is the Barbarian. He loves playing the crazy raging maniac, who constantly charges into battle! And who wouldn't? It is a fun role to play. 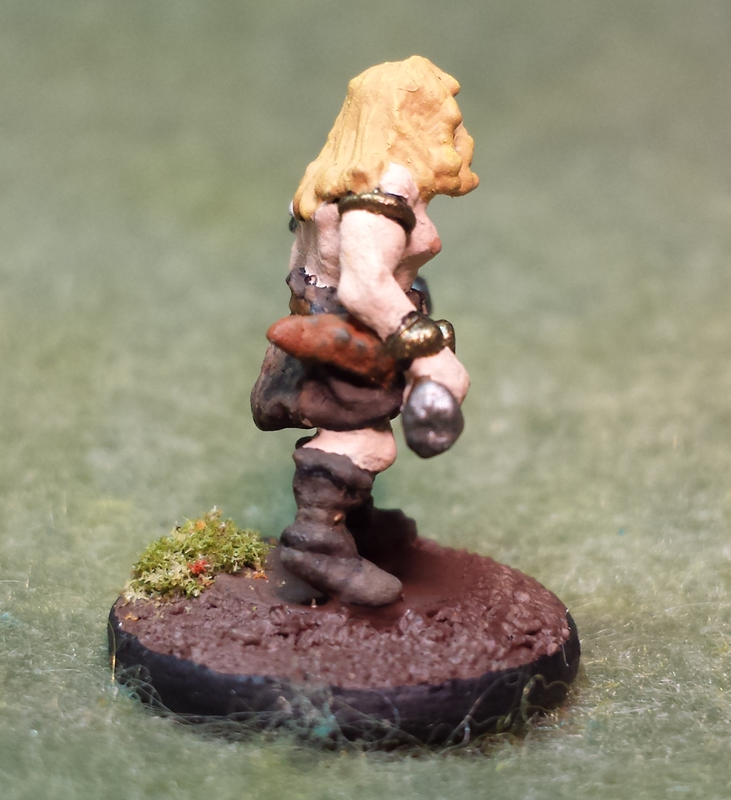 But of course with me switching the scale of my Fantasy RPG minis to 15mm, it mean that he couldn't use his favourite barbarian mini: the mini for Raymond E. Howard. Something had to be done about it. 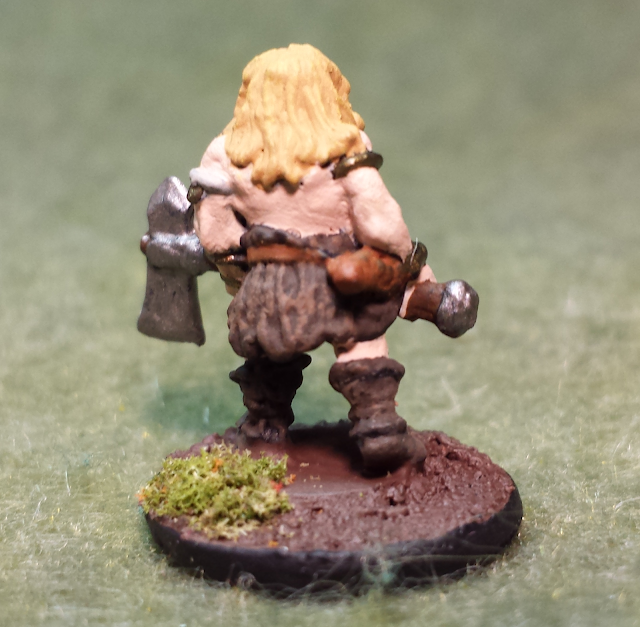 I had to make sure Dave had a pretty sweet 15mm barbarian mini and it had to have a two-handed axe. And it was a pretty sweet mini. So I scoured the internet and found Ral Partha Europe. They do tons of 15mm miniatures dating back to the early 90's for a fantasy table top miniatures game of theirs called Demonworld. I have never played the game, but there are a ton of cool minis including a troop of 15mm barbarians. So making sure that one of them had a two handed axe, I grabbed a pack of ten and started painted. I think it came out pretty well. And while it doesn't have the exact same feel as the original, It is still pretty good. I was also quite pleased with how the eyes turned out on this guy. 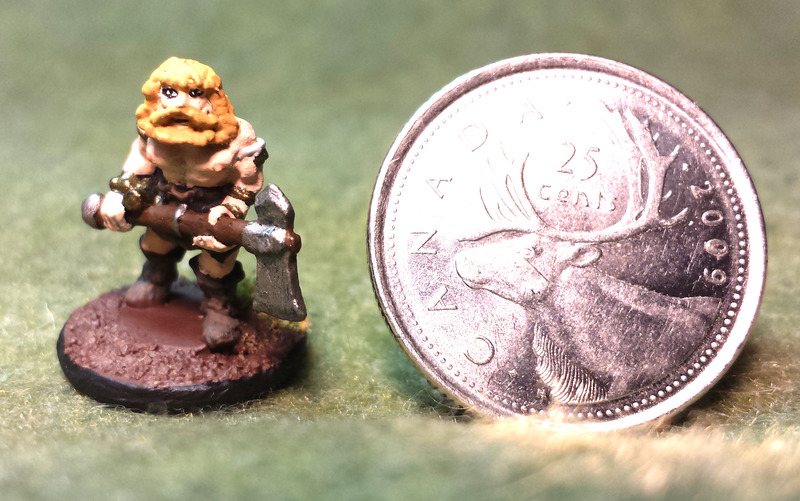 He is a little larger than your average 15mm figure, which made his features easier to deal with. But with practice I should have the eyes down pat at this scale soon. 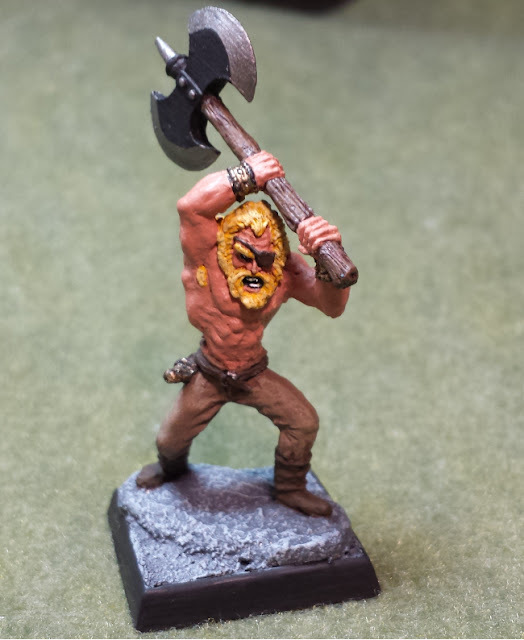 I know for a fact that Dave will be using this mini next time he plays a barbarian, so we will definitely being seeing this fellow soon. Last Week With JADE: Board Games!